That is an actual quote from me on Tuesday night, between bites during one of many courses, while Sean and I had dinner at the House at Secret Garden. South Phoenix is having a restaurant renaissance thanks in part to the Christofolo family. The Christofolos were behind the phenomenal Quiessence, one of my all-time favorites. 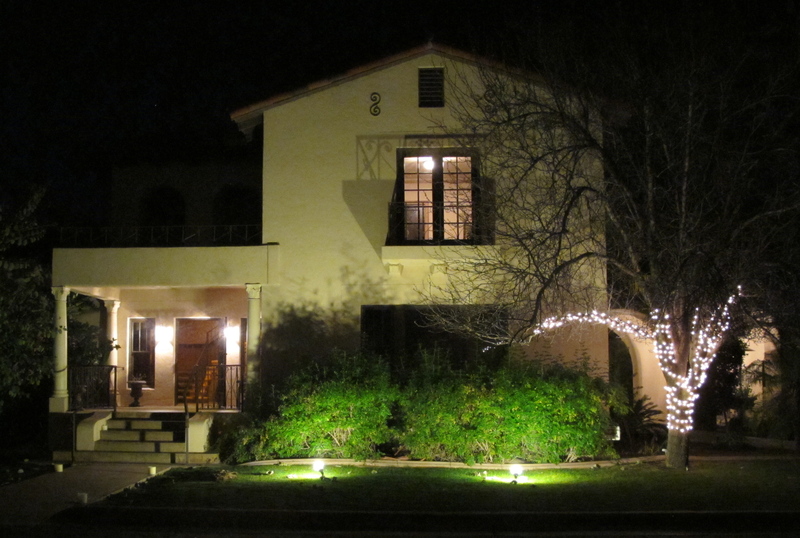 They own The Farm Kitchen and Santa Barbara Catering company, both known for their use of local, organic produce. 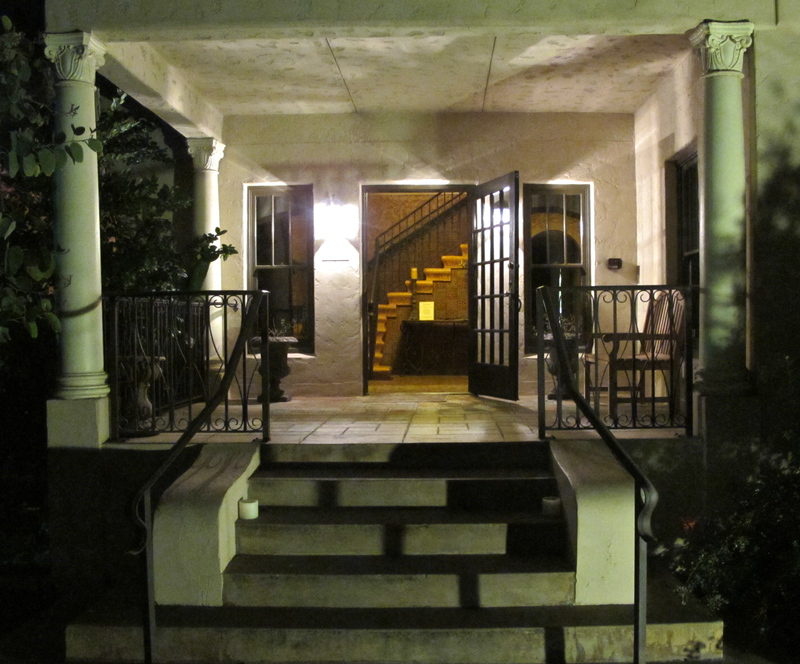 Recently, Dustin Christofolo opened the House at Secret Garden, set in an historical mansion from the 1920s on Baseline, which fits in perfectly with this family of restaurants. Dustin has studied at the Italian Culinary Institute in New York, and then went on to study cooking in Parma, Italy and wine in Napa Valley. (I am secretly jealous. Why didn’t I think of these sorts of things when I was slaving away at business school in Pittsburgh of all places?) 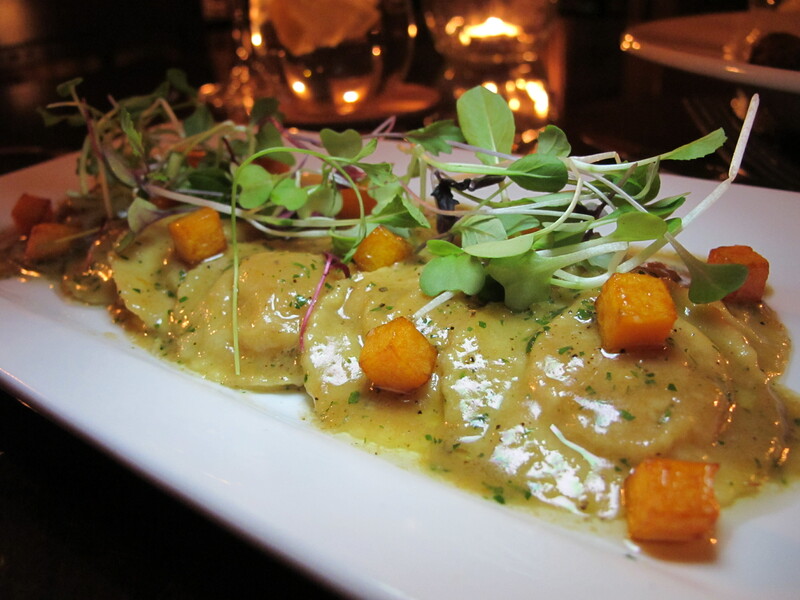 The menu at the House at Secret Garden reflects this blend of experience and education, it combines rustic American classics with an Italian finesse. The House itself is warm and charming. My photos don’t do it justice, but they have done a beautiful job of renovating it to make it feel as inviting as it probably was when it was an actual home. 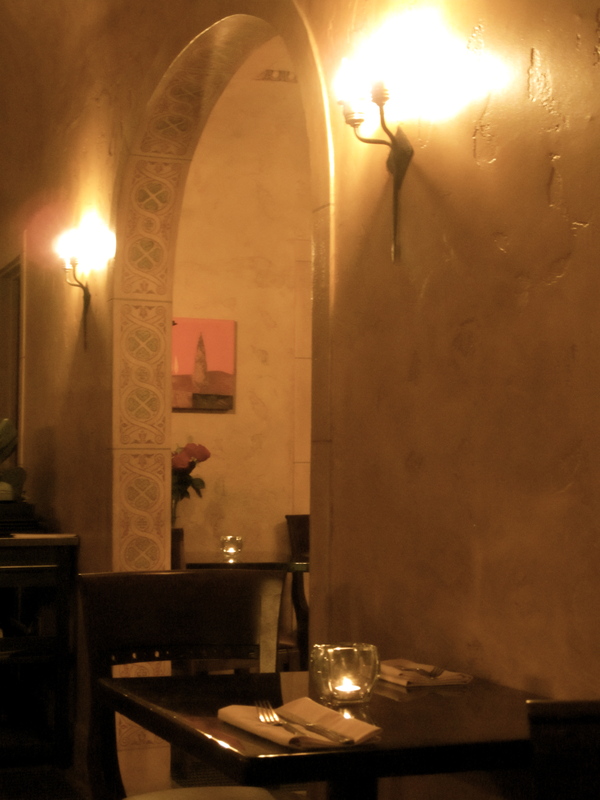 There are quiet nooks, wooden floors that squeak, and soft lighting that makes every table feel cozy and quiet. I was told they had quite a night on Valentine’s and I can see why. Over five courses Sean and I got to try many of the highlights from the menu. I absolutely fell in love with the Grilled Romaine salad. Such a simple idea, but it was so beautifully done that I know it can’t be as easy as it looks. 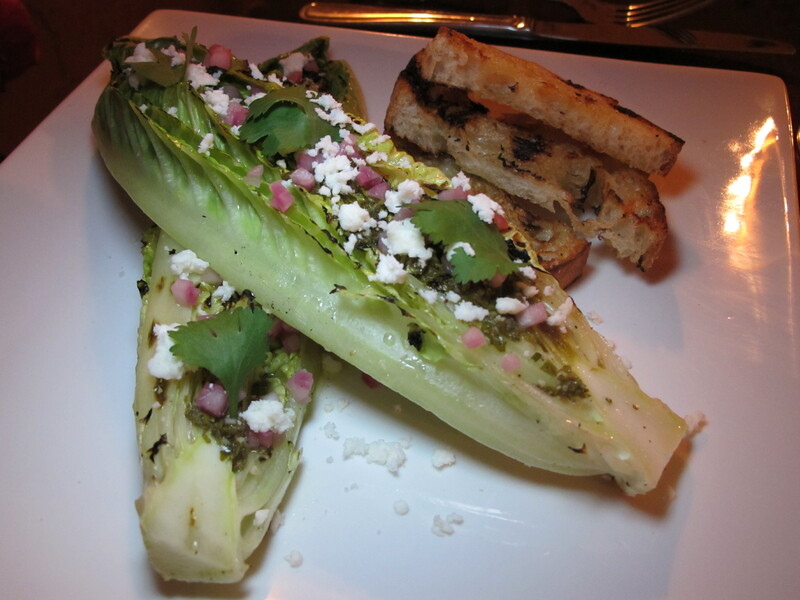 The Romaine was charred just enough to give it that flavor, and then served with marinated red onions, feta cheese, cilantro and a light lemon vinaigrette. 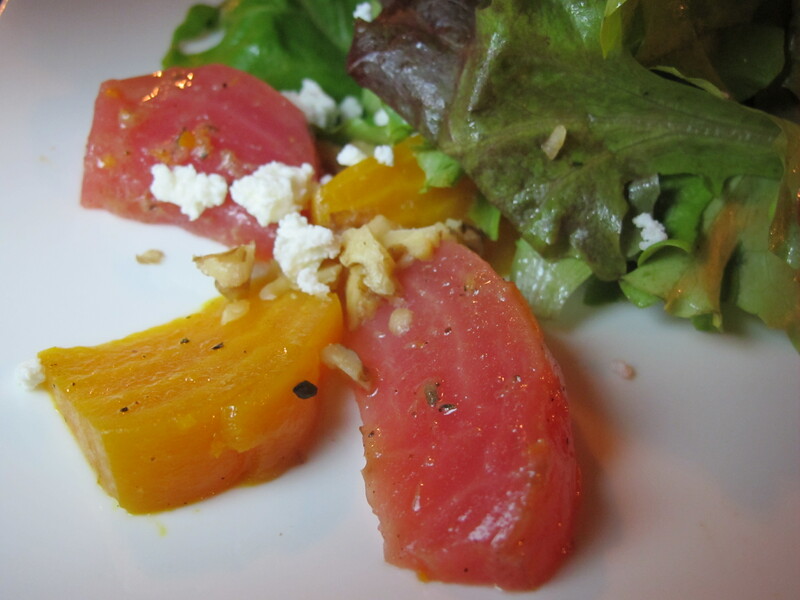 Sean had the Beet and Goat Cheese salad with a dressing made from our Desert Blossom Honey that was also wonderful. While at The Farm Kitchen Dustin was known for his soups, we now understand why. 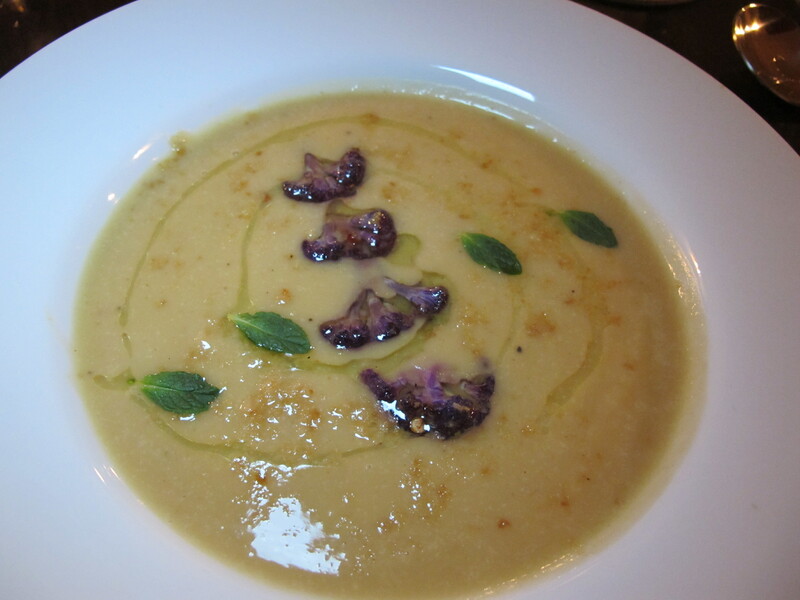 The cauliflower soup was rich and flavorful, without being heavy. It came topped with grilled Graffiti cauliflower and a sprinkling of mint leaves. 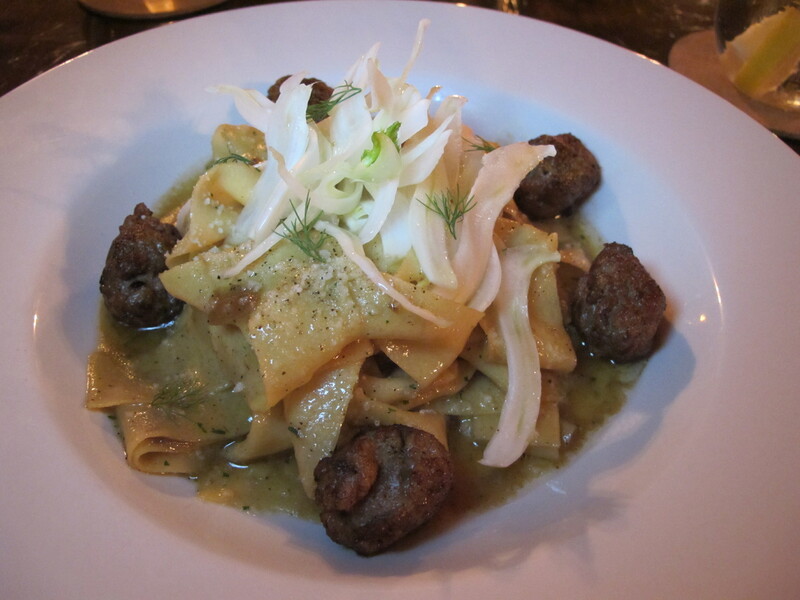 We both enjoyed the homemade pastas, the butternut squash ravioli for me and for Sean the pappardelle with Italian sausage from The Meat Shop, with fennel and pecorino cheese. All of the pastas are made by Dustin and it is clear that he definitely learned a thing or two about pasta while in Italy. One of the true stand-outs from the evening was the steelhead trout. 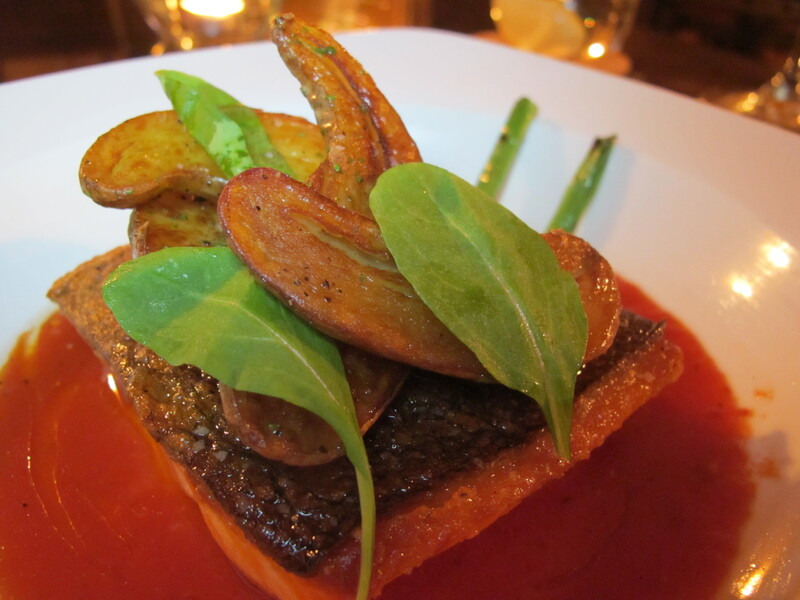 Served over a tomato broth with a slight kick to it, the fish was light and flakey with a crisp skin. Served with roasted fingerling potatoes and I’itoi onions, it was an unexpected combination of flavors and textures that came together perfectly. This is the dish that caused me to exclaim mid-bite that I would come back here in a heartbeat. The menu has several desserts from Tracy Dempsey, including sweet potato pudding topped with homemade marshmallows and an individual size pecan pie, and a sinful dense chocolate cake with a passion fruit tulle on the side. I would have included photos if I hadn’t dug into them so fast. Oh well, all the more reason to go back. To top it off, our service was excellent. Just as welcoming as the house and comforting as the food, we really enjoyed talking with our server and hearing about the dishes. Dustin is also the perfect host. It is clear that this is his house and he wants you to feel at home. 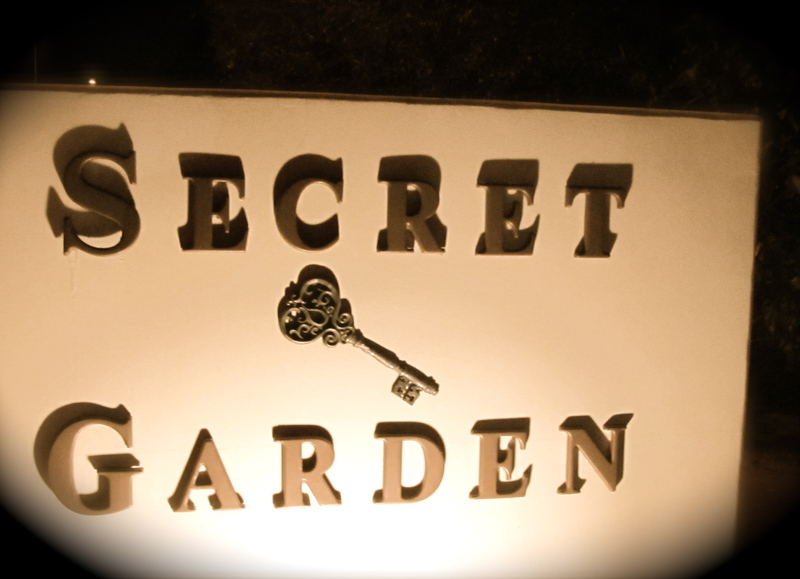 I know that there will be much written and shared about the House at Secret Garden soon, so I suggest you go now. In case the incredible setting and exceptional meal aren’t enough, they also have a large patio in the back with a fireplace, beautiful full trees, and a converted carriage house called Urban Barn that looks like a fun saloon. We were told that they have “Blues in the Barn” on the first Wednesday of the month with singer/songwriter Paris James performing. We have heard him play before at Quiessence and it is already on our calendar to return to hear him at Urban Barn. Between the promise of good music and a bar menu that has sweet potato planks and pork sliders, I’m in.. in a heartbeat!